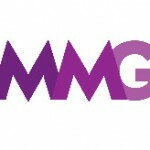 Mindshare secures 47 shortlisted entries in this year’s Festival of Media APAC Awards. In second place is Mindshare’s stable mate MediaCom with 28, while in third place PHD posted 23 shortlisted entries. The winners, who will be announced at the Festival of Media APAC Awards event on 15 March 2018 in the Novotel Singapore Clarke Quay, will once again be showcasing the fantastic level of work happening throughout the region. In terms of the geographical split Australia is leading the country table with 33 shortlisted entries, while India is in second spot with 31 and China third with 24 entries. Out of 17 entering countries a total of 13 are represented on the shortlist, which shows the diversity of the work. From a client perspective Unilever will be looking to take home some gold with an outstanding 28 entries, while Coca-Cola and P&G have ten entries each. More than 60 judges from leading brands, media agencies, specialist companies and media owners evaluated the quality of the campaigns over the last three weeks. The winners will be chosen by a final jury chaired by Susie Wong, director of performance & programmatic marketing of IBM Asia Pacific. This all comes after the dominance of Asian campaigns at our Best of 2017 awards, where three out of five trophies went to the APAC region and coincides with the launch of Festival of Media APAC special awards to find the most impactful media idea in the four key regions across APAC. The four winners will automatically be entered into the most relevant category at this year’s Festival of Media Global Awards in Rome in May. All the Festival of Media APAC shortlisted campaigns can be seen here.